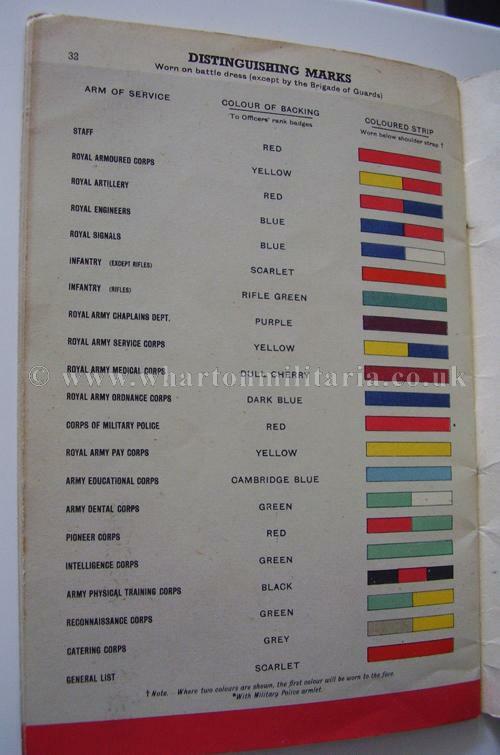 An interesting wartime colour publication on the cap badges and service caps worn by His Majesty's Army of the United Kingdom and the Dominions across the seas. 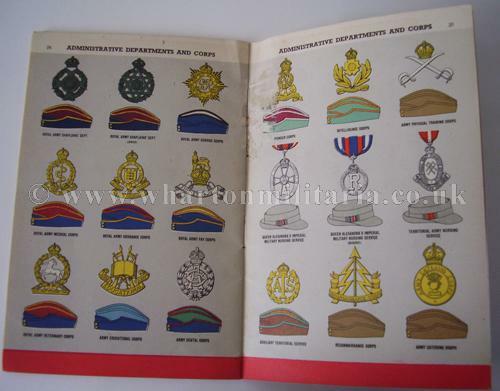 Published in 1941, an excellent and interesting guide to the badges and caps of the Allied armies of the day, includes sections on badges covering Administrative Departments, Corps, Infantry of the Line, Guards, Yeomanry, Royal Armoured Corps, Cavalry Regiments, and their respective service caps, including a section on the arms of service colour strips worn on the battle dress. 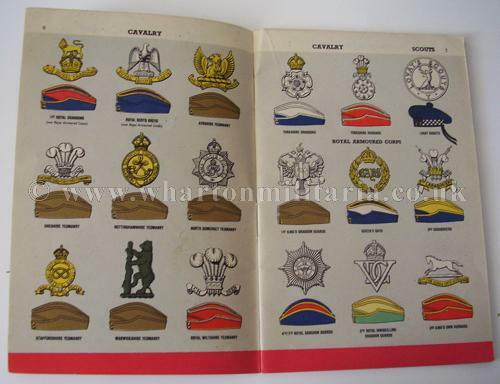 Includes sections on the cap badges of the Allied Forces, Indian, South African and Canadian regiments. 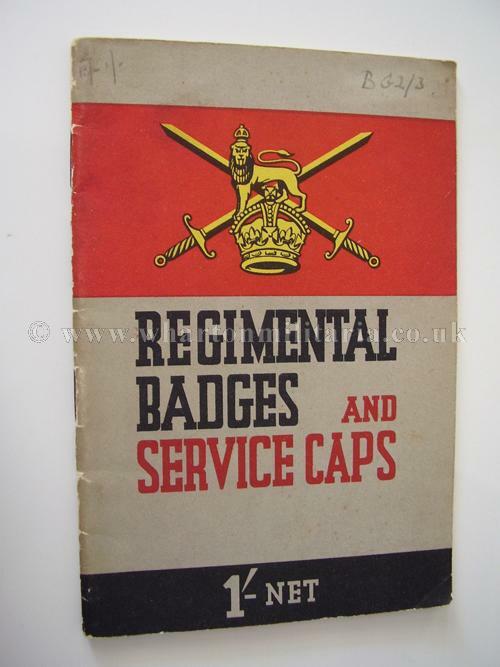 An excellent period book for both the Homefront and document collector.